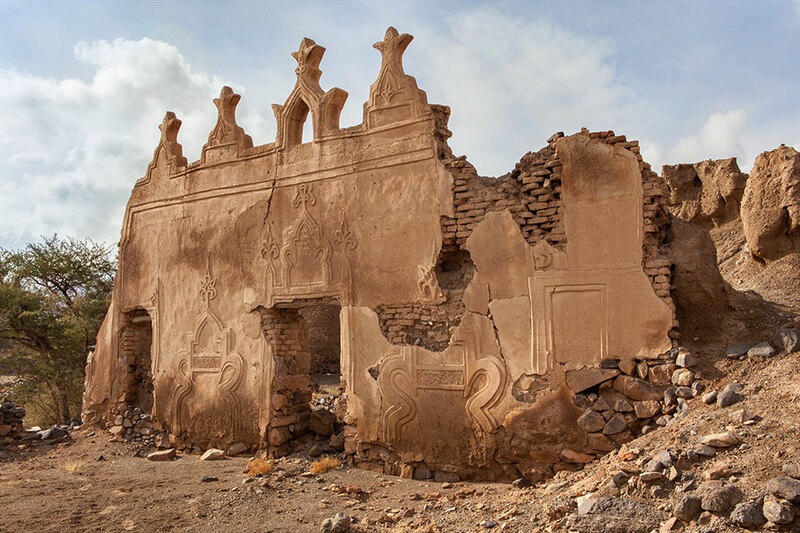 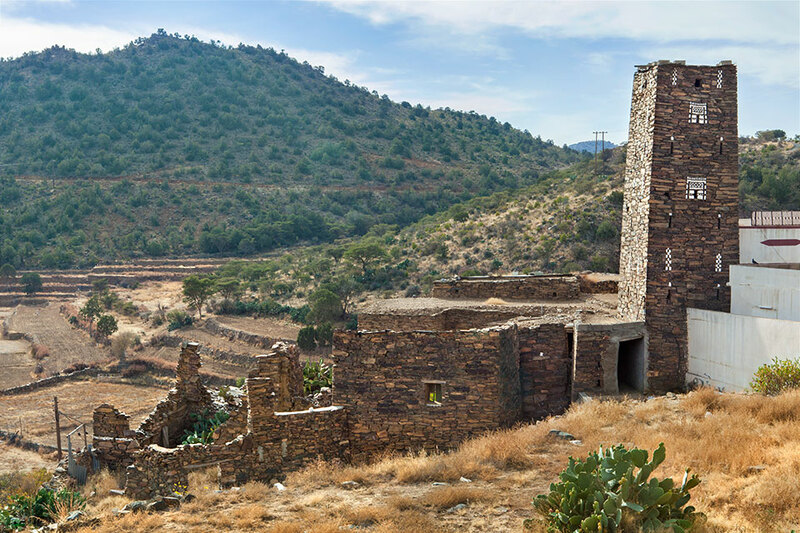 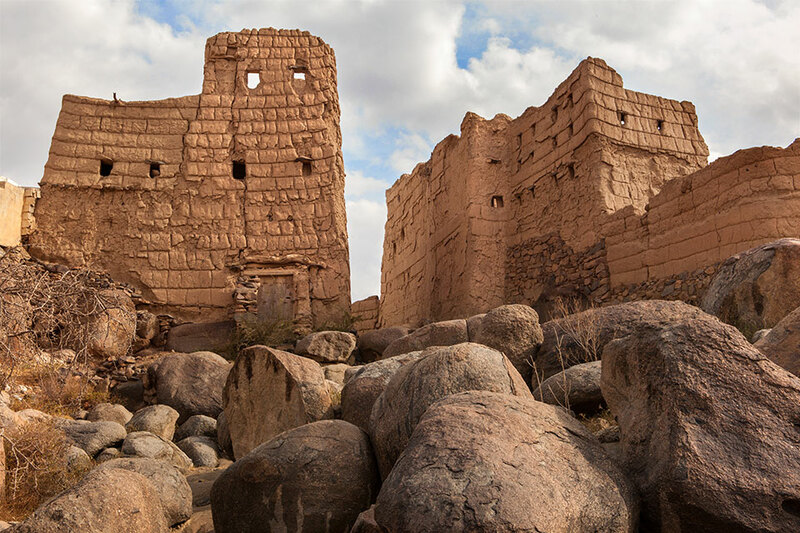 Until recently Asir was still largely unknown to the West. 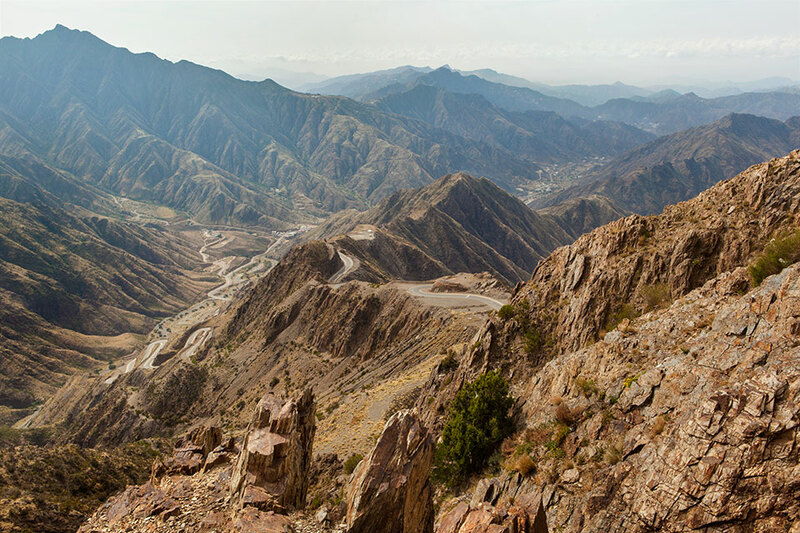 In 1932, the explorer H. St. John Philby entered Asir, but as he did not publish his observations until 1952 the area remained one of the blank spots on the world’s map. 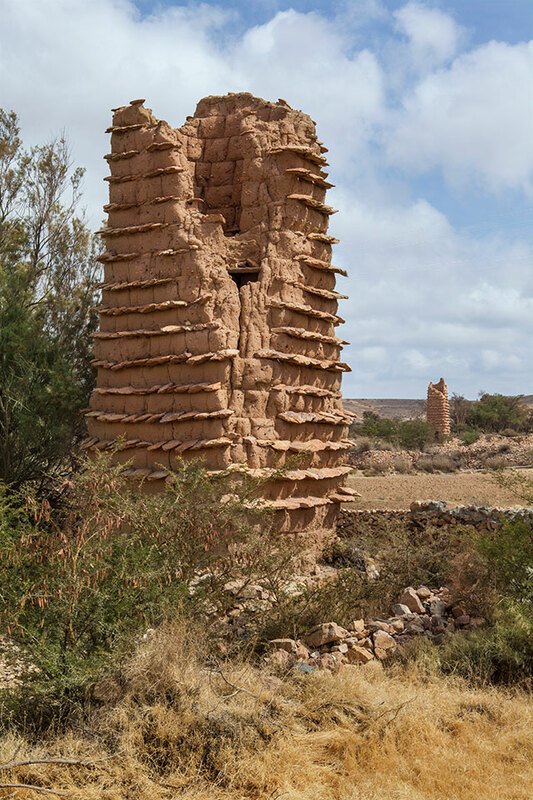 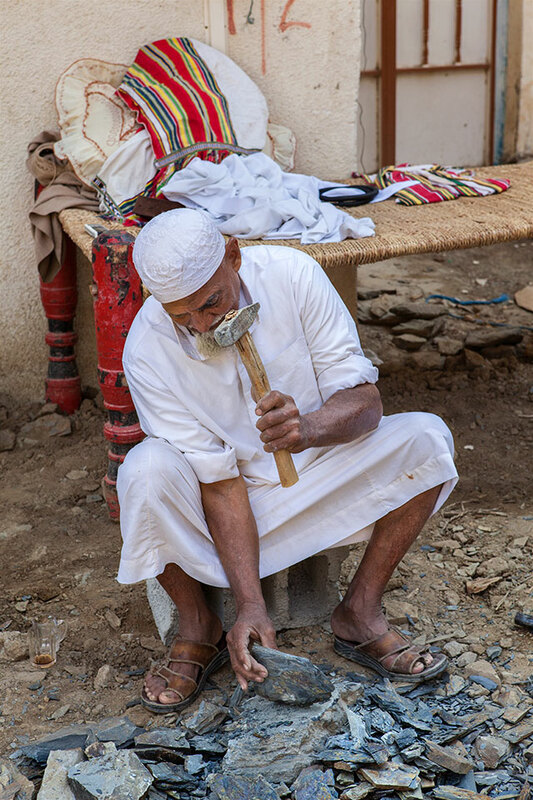 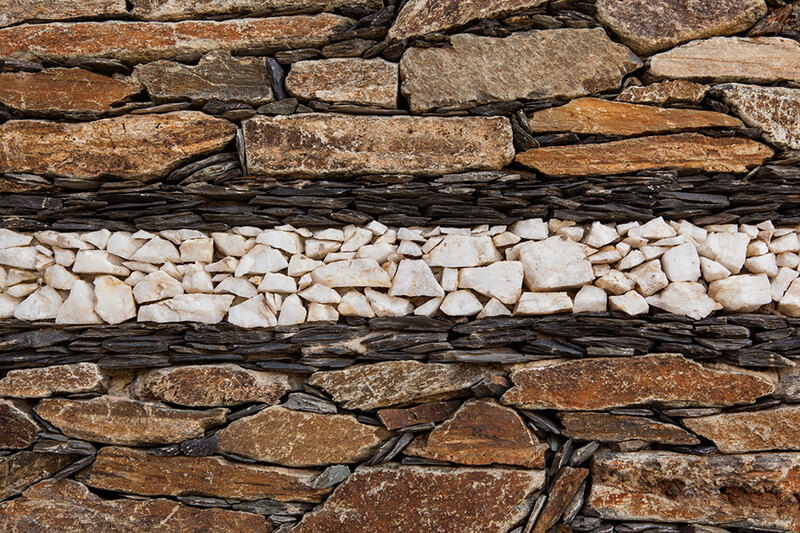 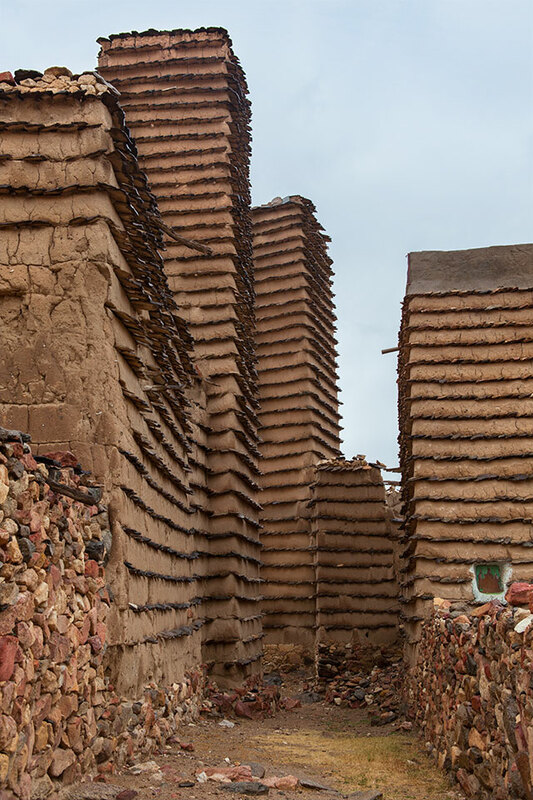 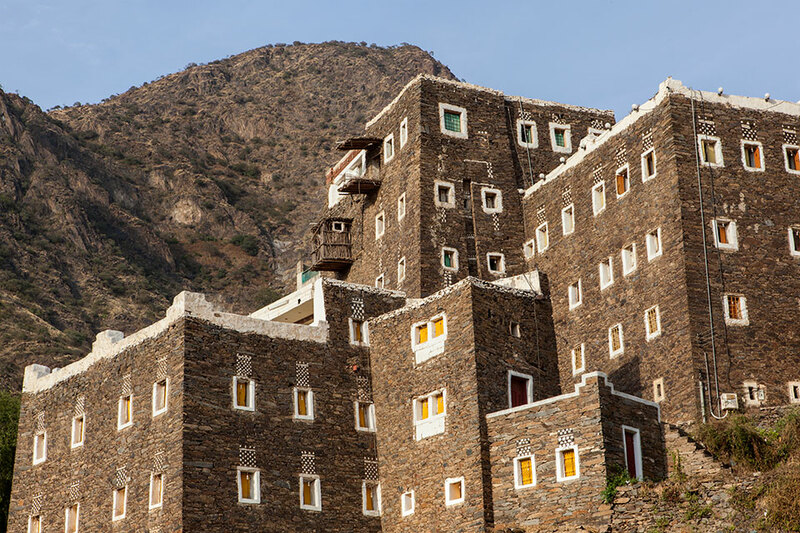 The region’s building style is similar to neighbouring Yemen, but with the addition of rows of slates to deflect the occasional heavy rain from the walls of houses. 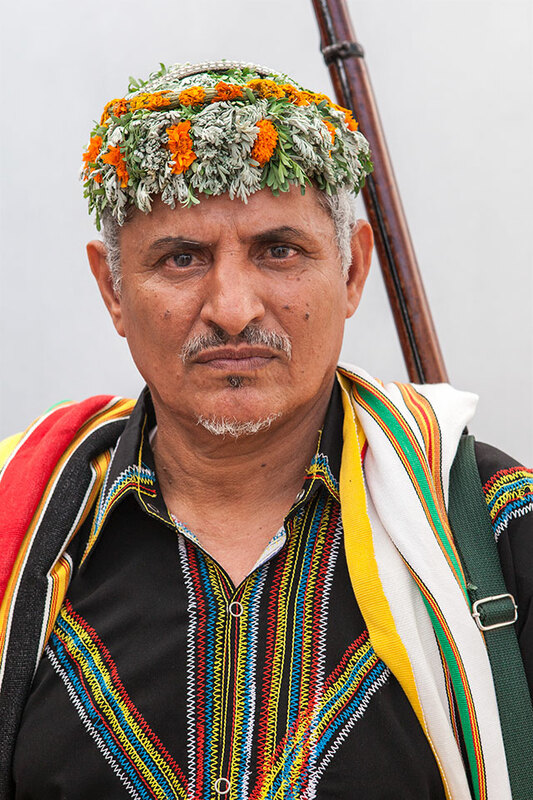 Tribal laws and customs are still exceedingly strong among the people of this region. 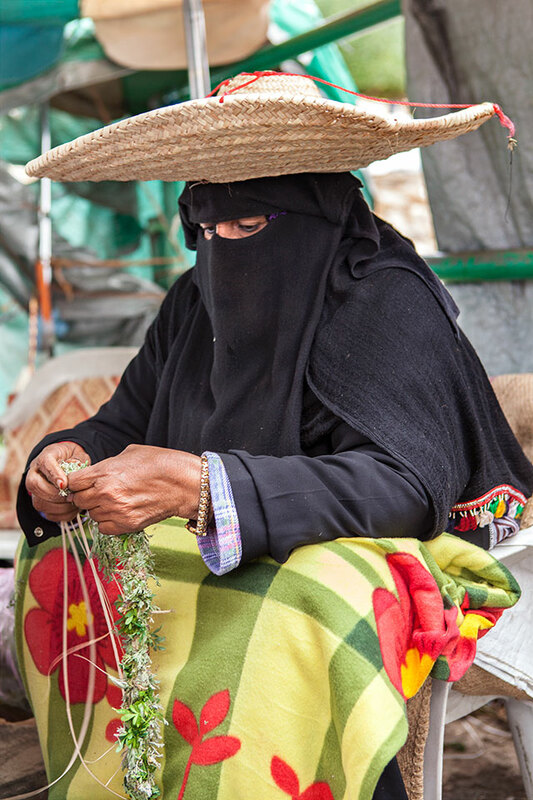 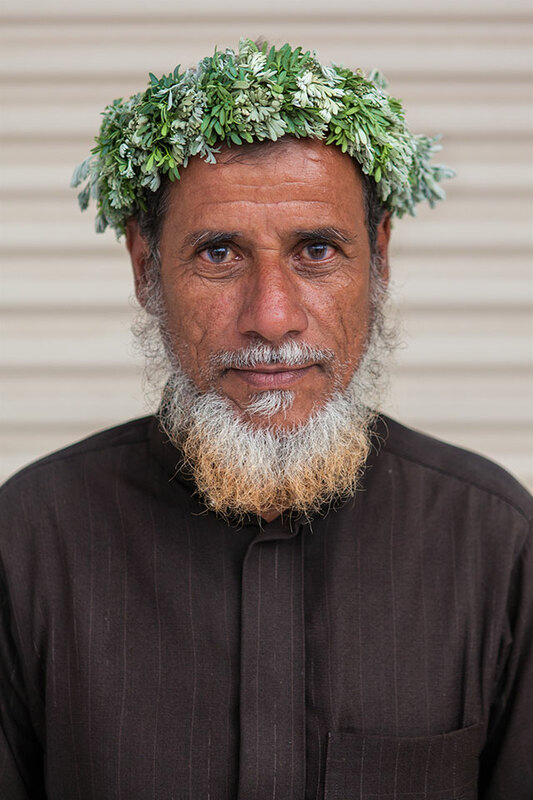 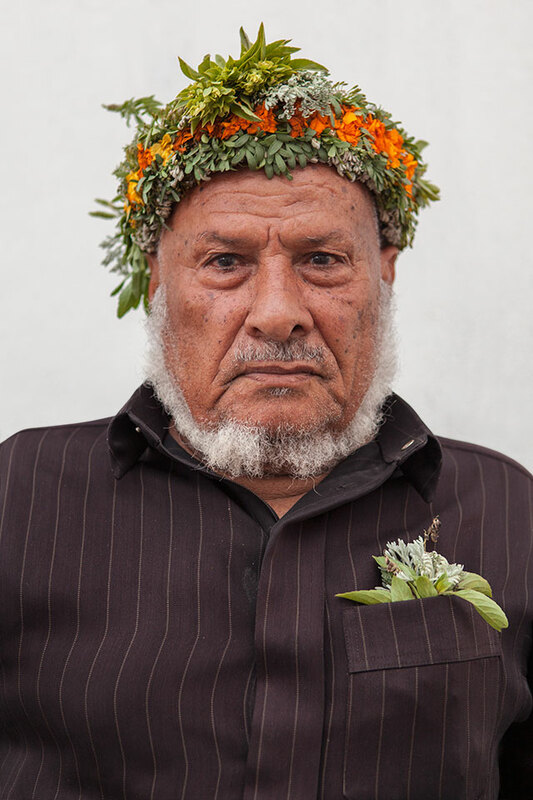 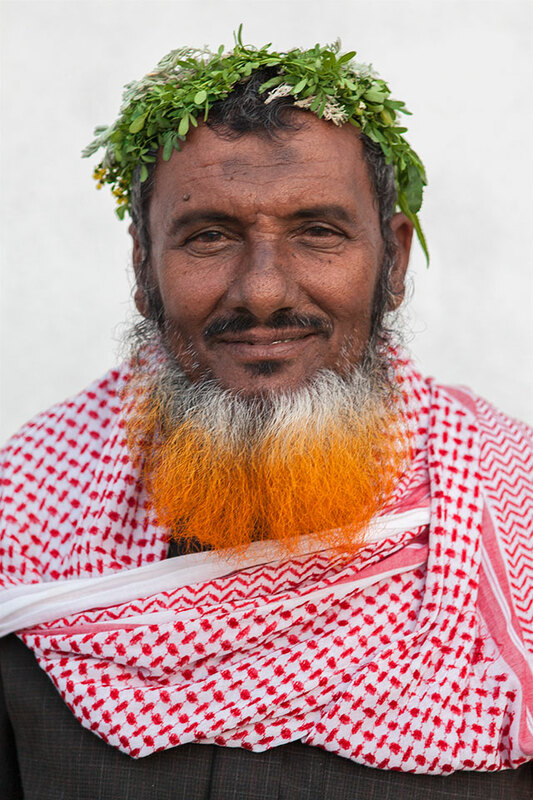 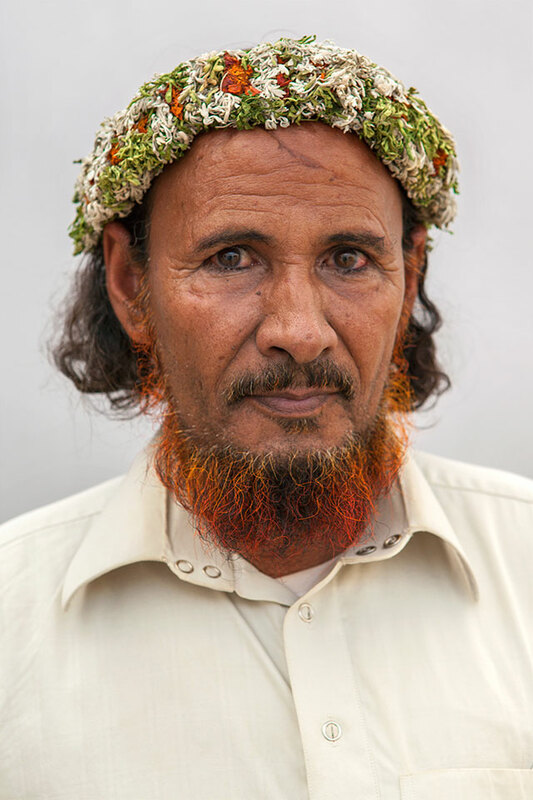 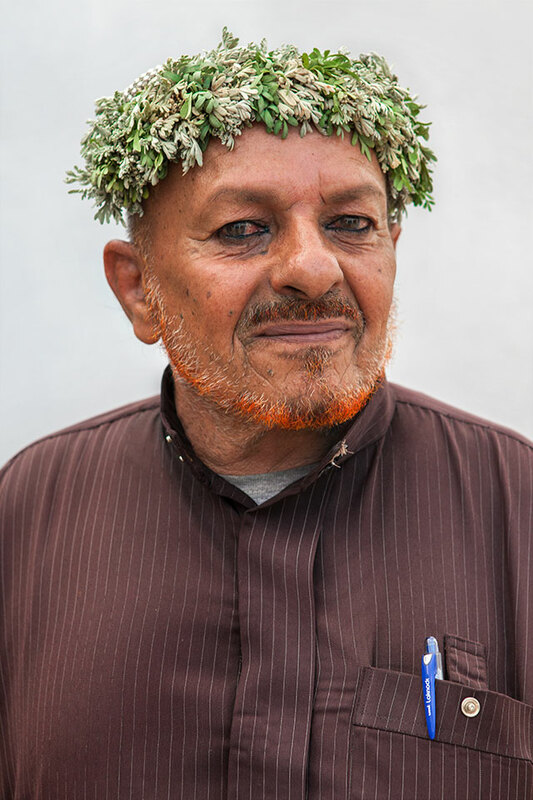 The ‘Flower Men’ of Asir wear wreaths of dried herbs and flowers in their hair. 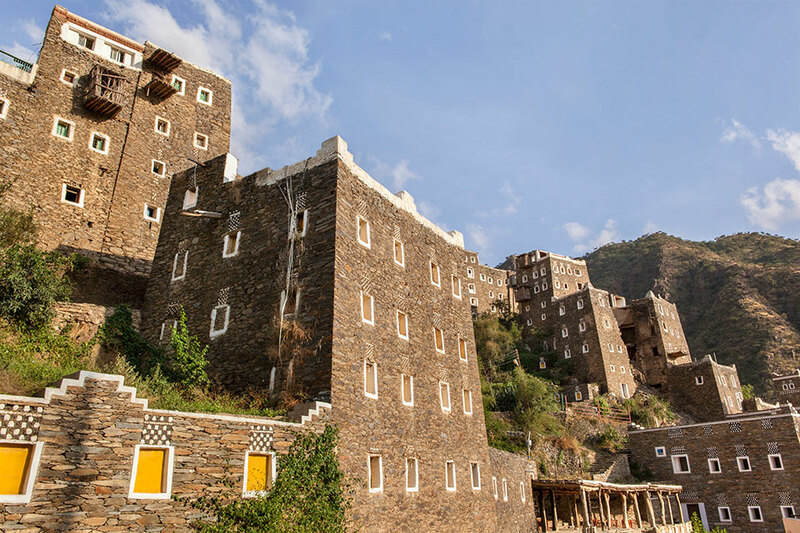 Traditionally they inhabited the cliff-top village of Habala, which until 1992 was only accessible by rope ladder. 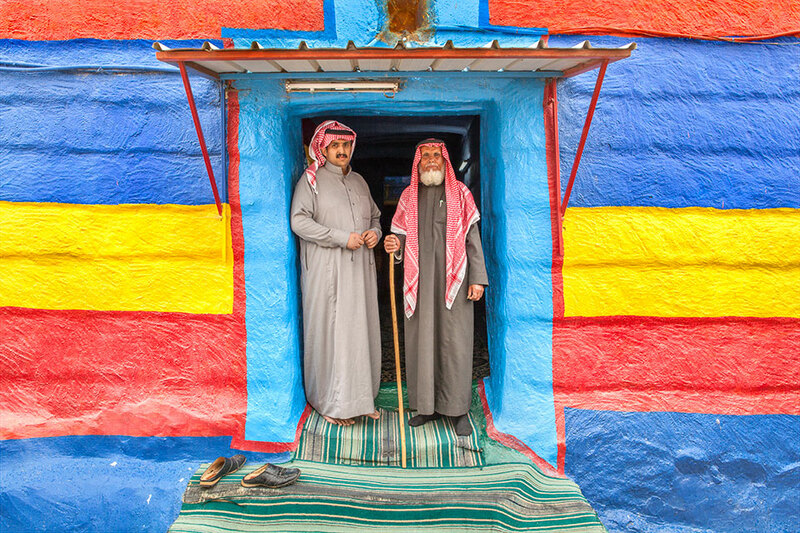 They are notoriously wary of outsiders. 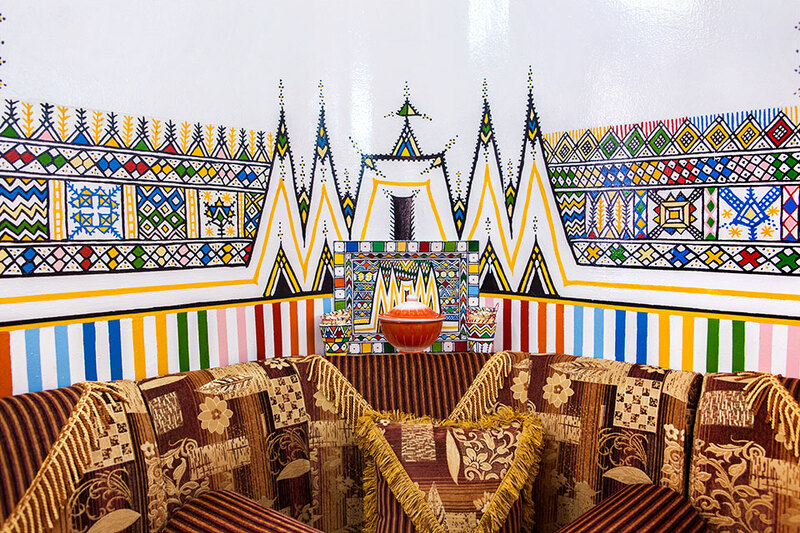 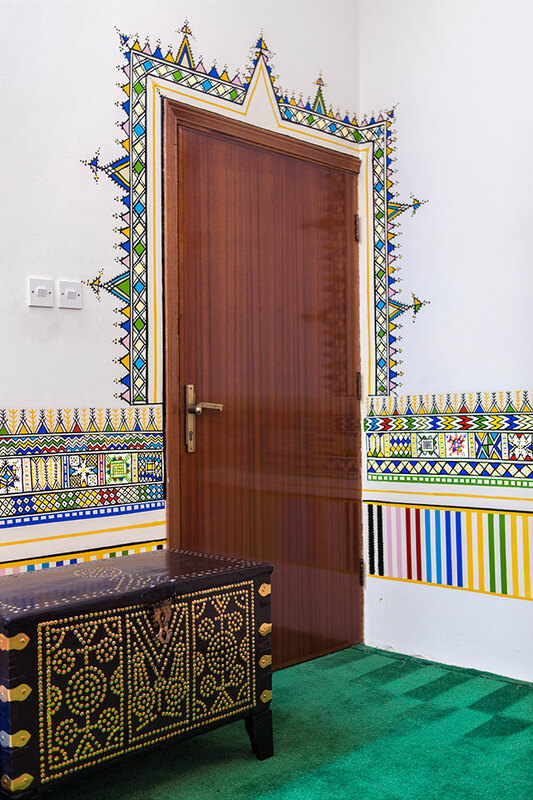 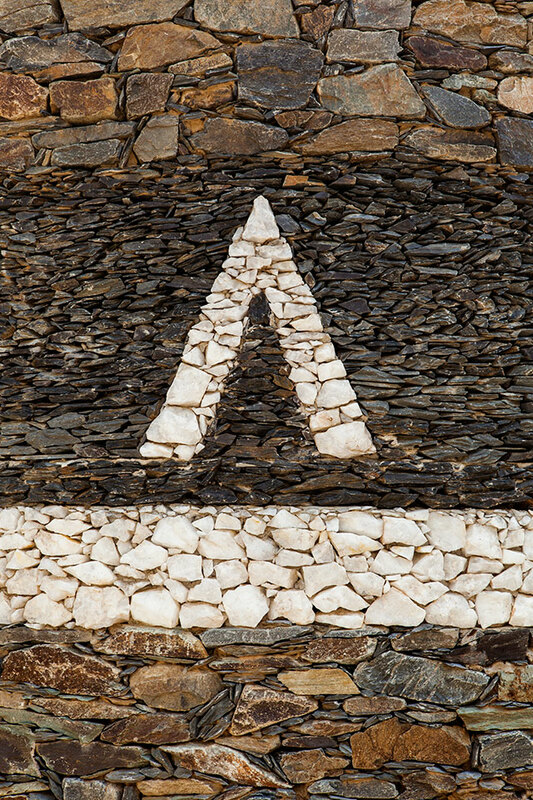 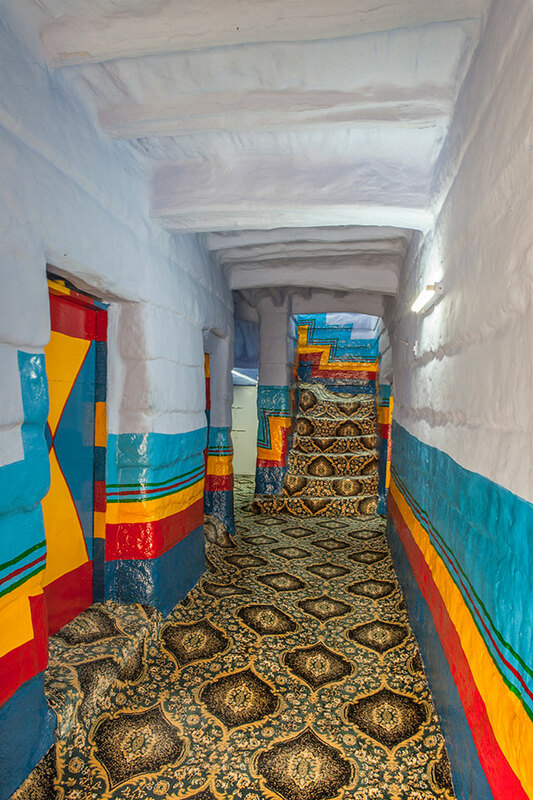 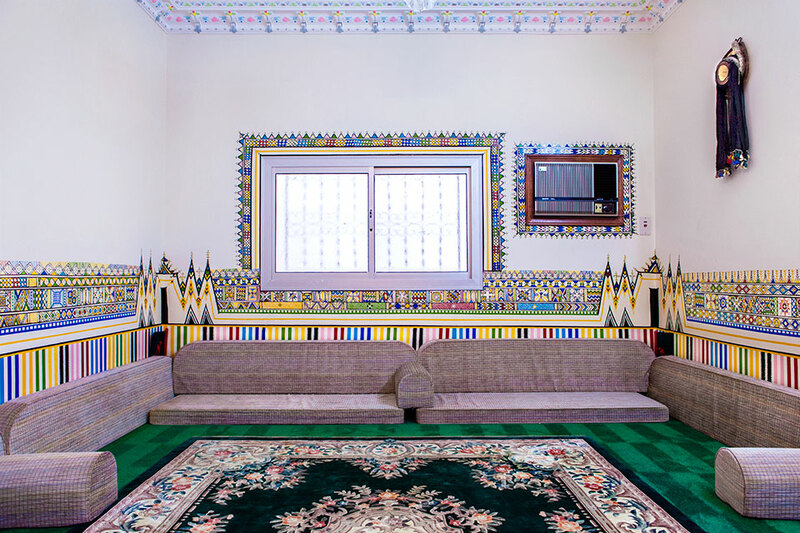 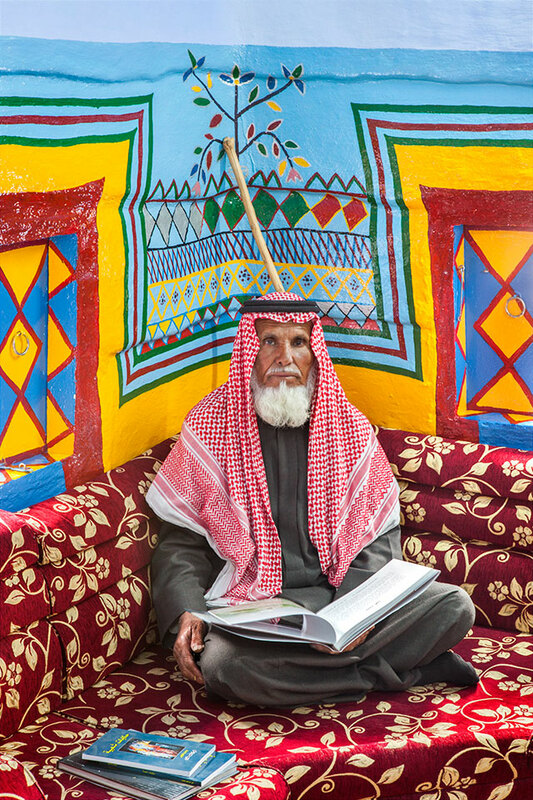 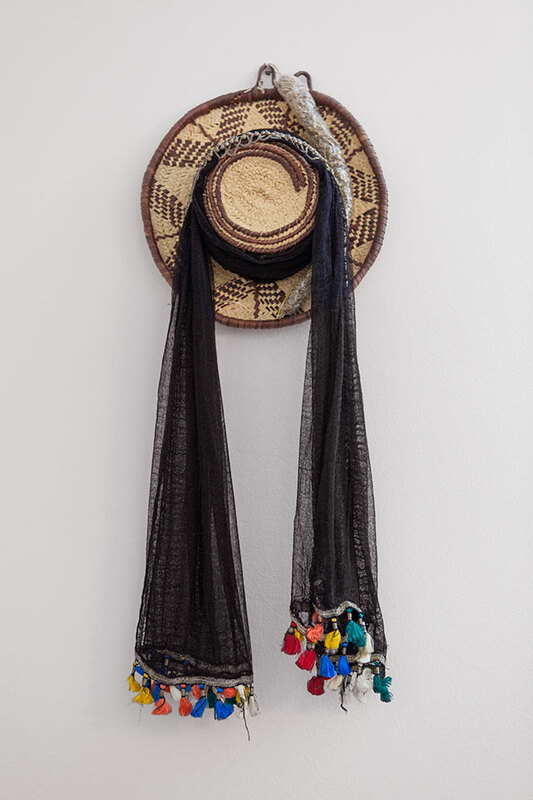 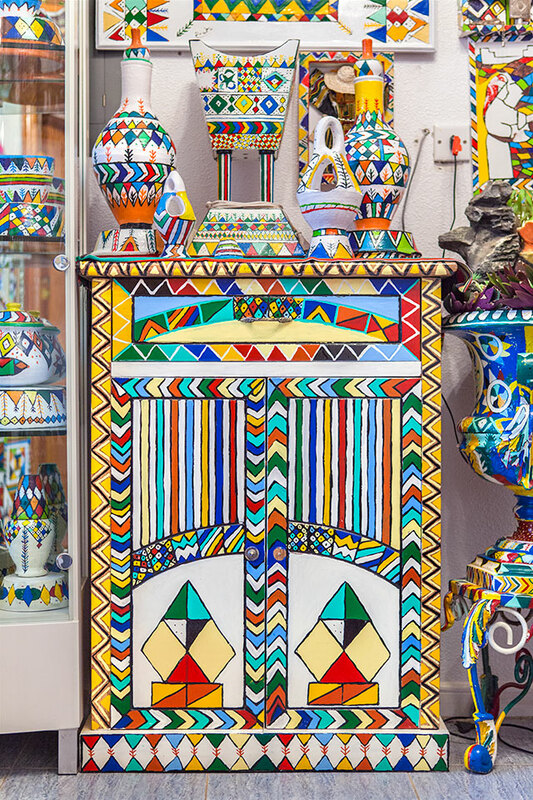 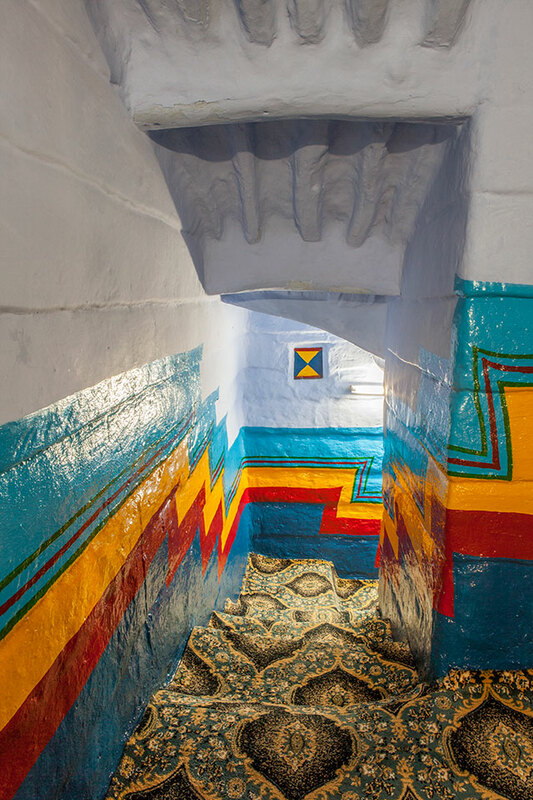 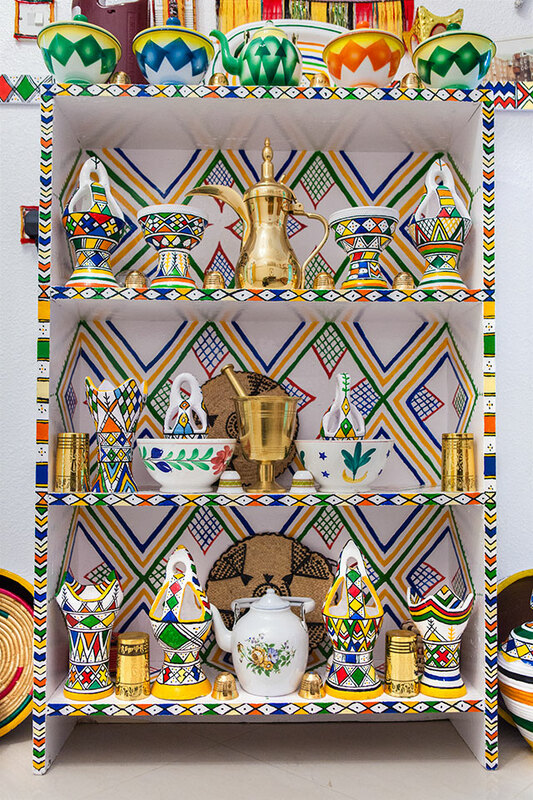 The houses of Asir were richly decorated by the women. 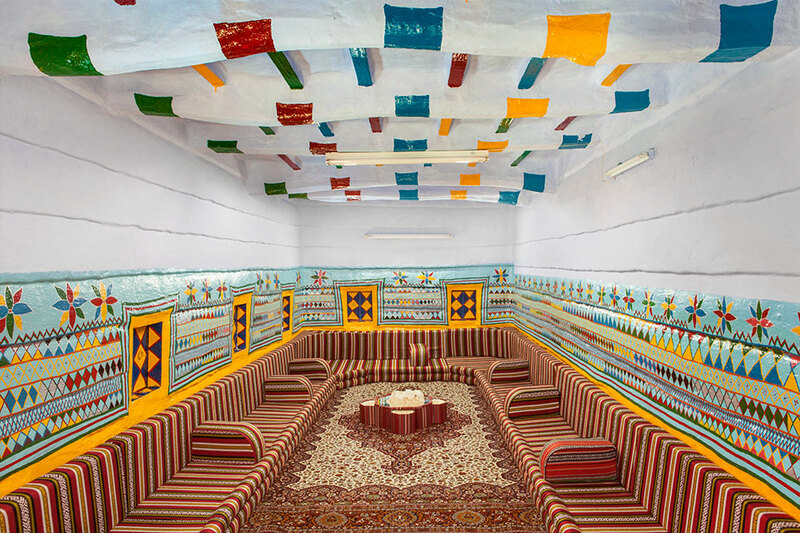 These frescoes offered an opportunity for women to express their identity in a masculine culture that required them to withdraw from the public eye.